Why you should use Scuba Duba® Corporation? 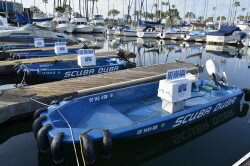 Scuba Duba® Corporation has provided boat hull cleaning & services in Southern California since 1963. We offer the expertise gained in five decades of servicing thousands of vessels of all sizes and constructions, all modes of propulsion, and all kinds of bottom paint and surfaces. We are, first and foremost, a boat hull cleaning & services organization that performs best management practices. We offer extensive quality control inspections to insure that our underwater hull cleaning work is of the highest quality, with satisfaction as our top priority to the customer. We accommodate customized hull cleaning schedules and serve all locations from yacht clubs, shipyards, marinas and moorings to private residences and docks accessible only by water, in all areas from Cabrillo Marina to Dana Point. 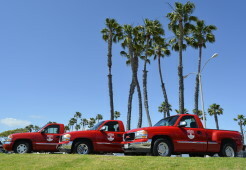 Our staff is available at our office located in the Long Beach Marina in Alamitos Bay every business day, Monday thru Friday from 9 A.M. TO 5 P.M. to answer questions and respond to requests and concerns of our customers. Scuba Duba® Corporation is fully licensed and insured for the peace of mind of the boat owners who employ us. Scuba Duba® Corporation offers a professional reference for local tradesmen/vendors for all your boating needs. Services: Hull cleaning, dock cleaning, boat lift cleaning, zinc replacement, propeller removal and installation, search and recovery, inspections, quality control, underwater photography.